… this is not a pretty post. 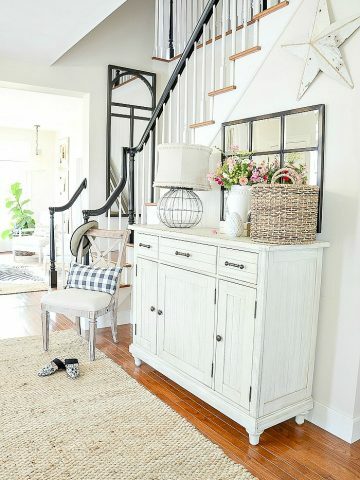 Very practical, but not pretty! Here’s my decorating toolbox. It still has the label on the box after all these years! U pins, wired picks, (not shown) tape measure, alcohol wipes, super glue, xacto knife, collapsible ruler and pencil. I think someone whose name begins with “B” might have done a little bit of toolbox pilfering! I like my toolbox on the small side and very easy to handle so my glue gun and glue sticks are not in it. They live in the closet in my office in another handy box! 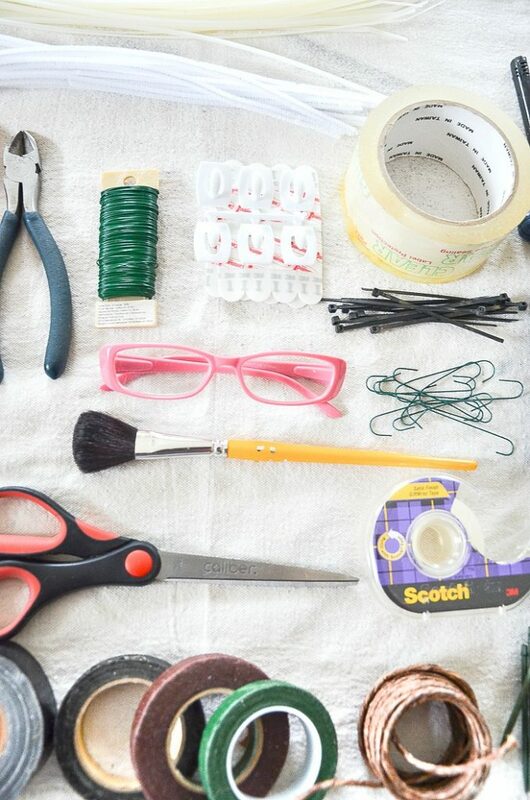 A decorator’s toolbox is a very personal thing. So decide carefully what you put in yours! 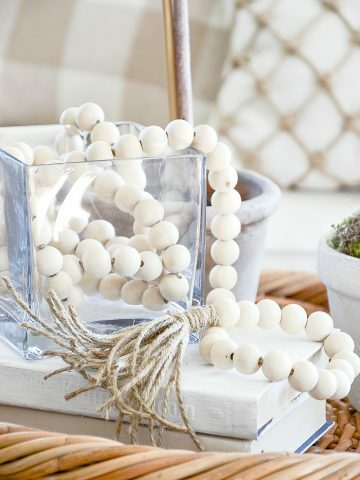 You might not want three colors of florist wire or a fluffy paintbrush in yours. 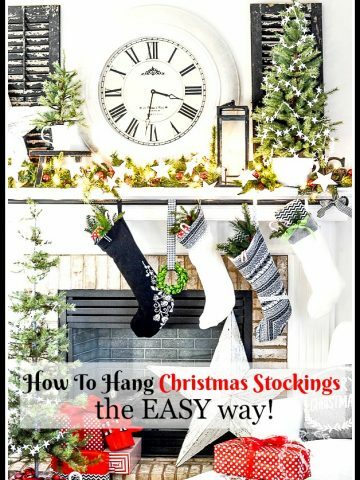 You may not use Christmas tree ornament hangers as small bit of spool wire. Or you may not use alcohol wipes to clean off smudges from walls before you hang 3M hangers. 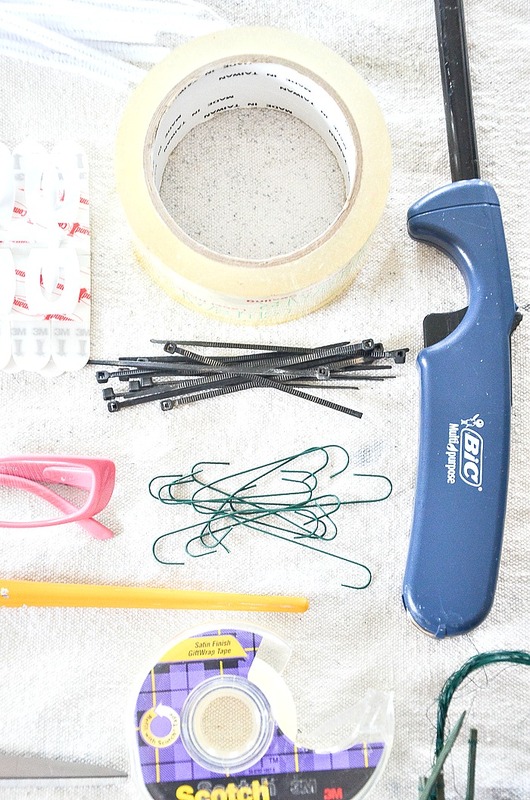 You might like to include a couple of foam paintbrush or Goo Gone or rubber bands. 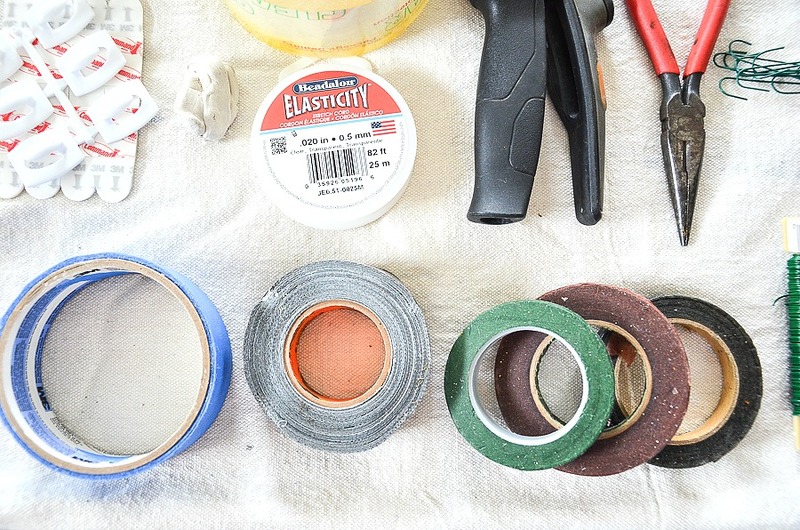 Actually, rubber bands are a good idea for my decorator’s toolbox. 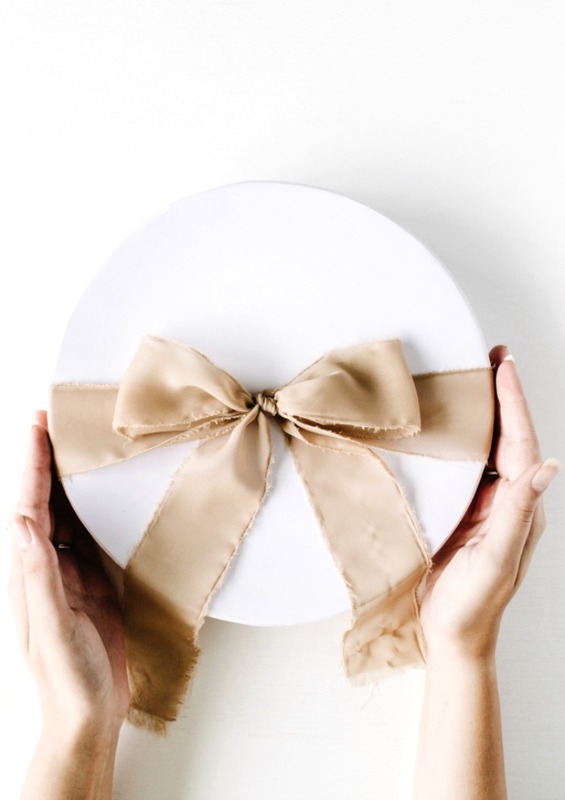 One important thing that goes with me when I decorate is a small dropcloth. It’s actually the backdrop for the images today. Believe me, a small dropcloth is such a handy thing to have! 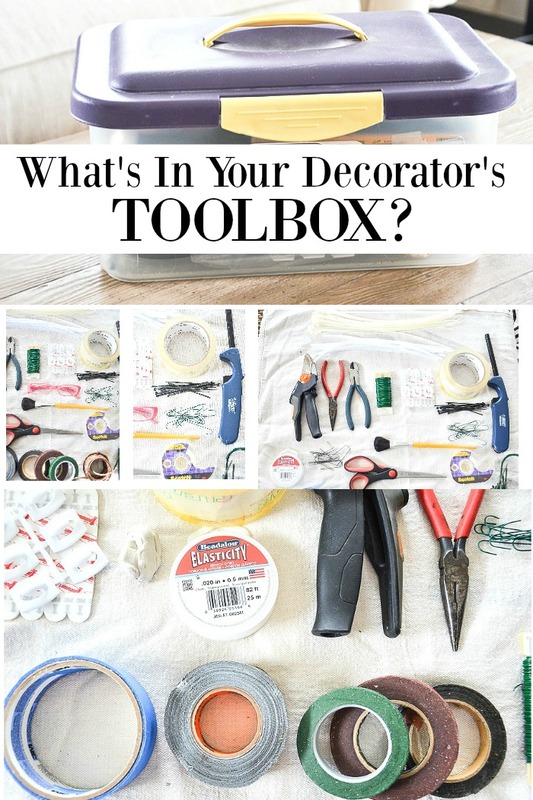 If you have a decorator’s toolbox tell us what you have in yours. And if you don’t start making a list of what you will put in the one you are going to run out and get! Ive got that same sterilite container with the blue and yellow lid. Got it in the late 1990s!!! I love the idea of putting together a kit like this and will use yours as inspiration. 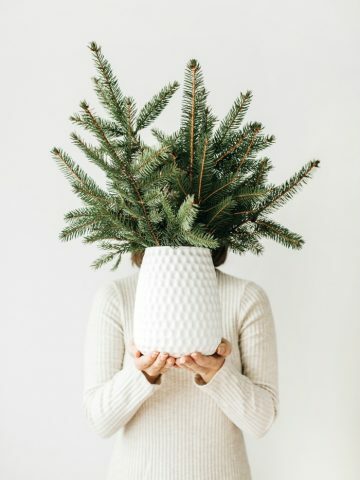 I too, keep my own kit — mine is called a “Christmas Tree Tool Kit” – an idea I saw in Country Living magazine many years ago, when my dear friend & I were the Christmas decorators for the church, setting up all the trees, etc for many years… I immediately put one together, as so many of those items are necessary when you decorating, setting up/tearing down, etc. I even added a mini hammer last year to my kit. I see some items in yours I may want to include. So handy to take along when setting up for other events, etc. We have almost the same items but I have a bit more in mine. 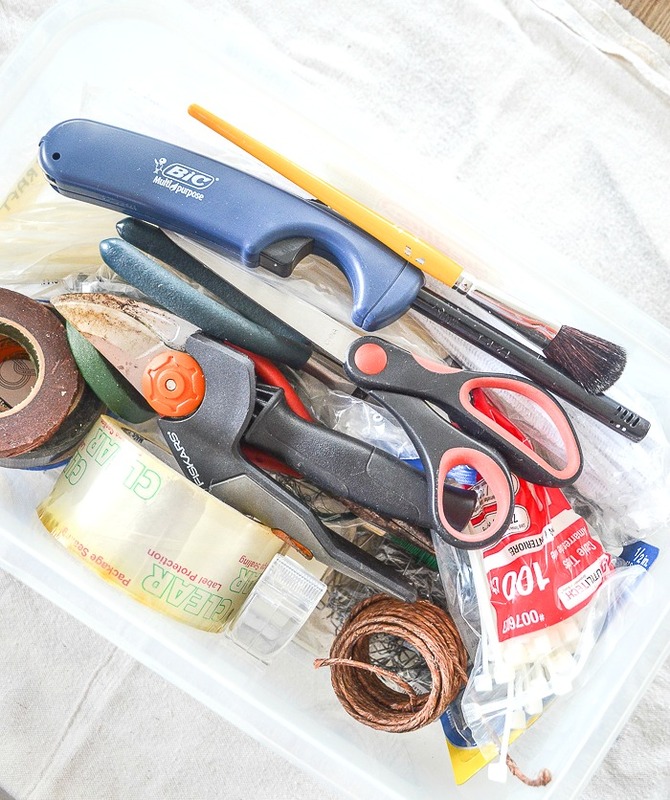 Small box of assorted gold colored nails and picture hangers, scissors, small level, rolls of Velcro, pliers and a small wrench. I do have a tool box on wheels that was a craft case from a sweet friend who made the revelation that I needed all my supplies in one place. It has been a life saver! I like the spool of florist wire that you have because my wire gets bent and is a mess. One thing I keep in my kit is a small cordless screwdriver (I can do this in my case because it is larger). My glue gun and glue are staples as well as chenille stems. Also, corsage pins and green glo! It would be nice to have a little grab-n-go box for small projects! Thanks for the good suggestions. What is green glo and where do u get it? 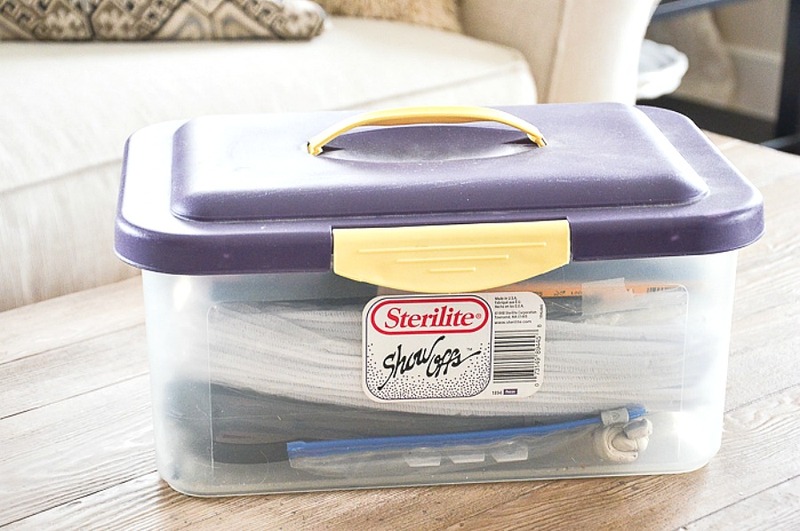 This is a great idea to corral my various tools into one convenient box to carry around. I love your idea, there are a couple of things in your box that I don’t have in mine, which I will be adding. I will say that I have incorporated my decorator box and my toolbox because I found it easier for me. I have found a hammer and a drill to be most helpful in one’s kit, if you don’t want to combine them. Yvonne, I don’t see a measuring tape. I’m always misplacing mine. I have a 25 footer with a label on it that says “Carol’s Tape Do Not Use”. It still ends up in my husband’s workshop. I need to get a decorating box like yours! Carol, you must have missed what I wrote. I think Bobby borrowed it! This is such a good idea! I started keeping one a few years ago after being frustrated with the hubs not putting things away in the same place twice. So now I keep my own things where I want them so that I know exactly where they are. I also have small screwdrivers for opening battery compartments, etc. Great idea. I have a small screwdriver kit in the kitchen drawer but it really should go in my toolbox. YOU GO GIRL! Yvonne, I love your post today. I have a little green wooden tool box that was my dad’s.I have the same tools as you. My little tool box is my little work horse as it is my go to spot for all my tools and supplies. 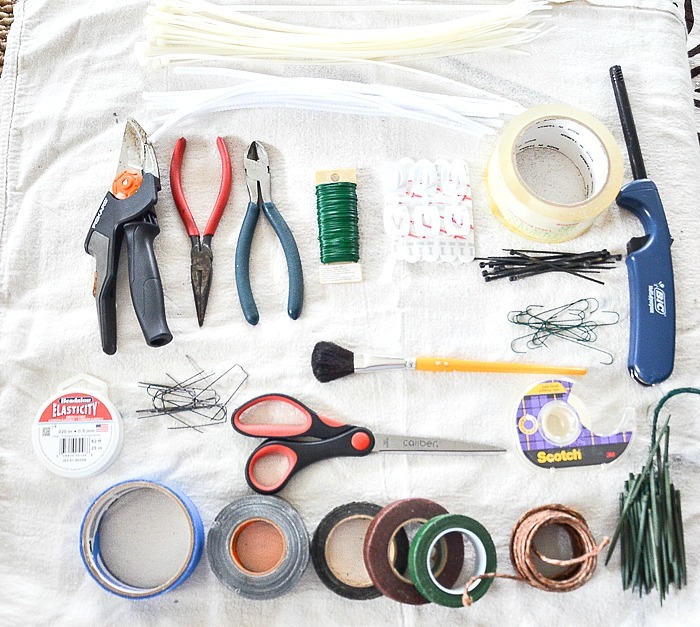 I use #22 florist wire for many of my projects. I also keep a small amount of florist cling in my box, so if candles tend not to stay in the holder I place a small amount of Cling on the bottom of the candles and no more candles falling over.Have a great day!